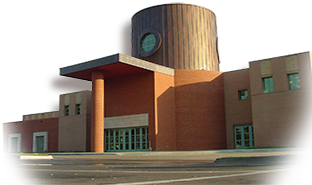 The Topeka & Shawnee County Public Library is seeking bright, energetic people who want to work in a rewarding environment. If you are looking for a way to spend those extra hours in your day, volunteering at the library is a great opportunity to help others and stay connected to one of the most resourceful organizations in the community. You would be a great addition to the family. If you have questions or would like to donate your time, call 785-580-4490 or email. Meet fascinating people, including major authors and speakers, by hosting special events. Enrich the lives of children by assisting with crafts or storytelling programs. Help Library staff efficiency by offering clerical and technical assistance. Turn used books into “treasure” by working in the Friends Booktique and/or assist other volunteers prepare for the annual Book Sale. Greet visitors to the Library with a smile and useful directional information. Promote the Library by assisting with mailings and other activities. Add the personal touch by helping patrons use Library computers or copy machines. Work behind the scenes, helping Talking Books. Assist the Red Carpet staff deliver material to patrons unable to come to the Library.